At Hannibal Brown Personalised Wine Design, we take wine ‘personally’. And with it, the service we provide. Our unique wedding gifts are designed specifically for the bride and groom. Call us anytime to discuss on 020 3876 8008. Or simply fill out our online order form, choose your wine and our designers will get to work. If you’re arranging all the wines for the wedding day itself, we can design a personalised wine for the wedding breakfast that will simply charm your guests. Watch their faces light up as they discover they are drinking a very personal wine. 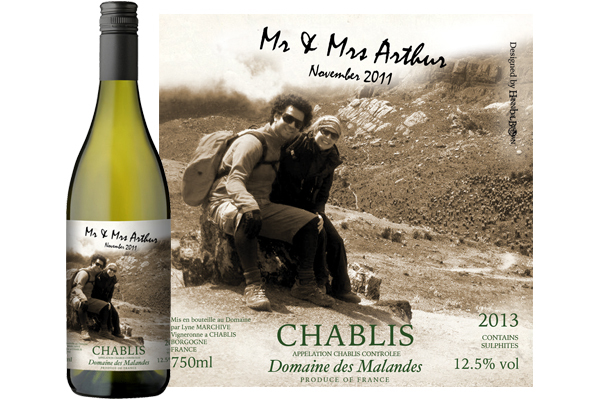 Fill out the online order form and choose your wine from our range – we’ll put together your personalised wine label. It’s the ultimate icing on the cake and it’ll make everyone smile. For truly bespoke wedding favours, look no further. 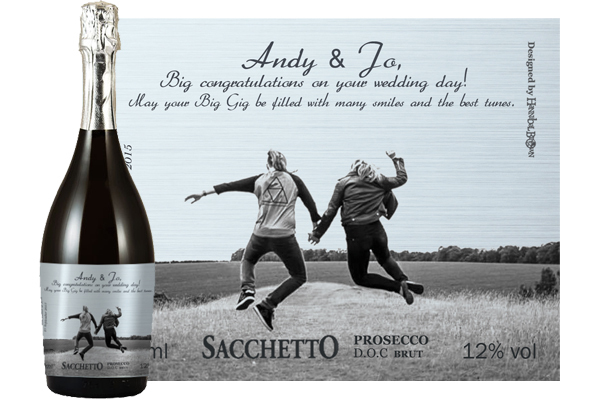 With personalised wines designed for individual guests, they can take home their very own piece of your big day. Prices from £7.50 for a miniature personalised wine bottle. Take a look at our range of recommended wines here. Half and smaller format bottles available. Just want the Wedding Wine? Don’t worry, it doesn’t always have to be personalised! We can provide a free consultation and wine tasting service. Our dedicated and experienced team will help you find the perfect wine for your big day – as well as making sure your bottles match your budget. To find out more about our free consultations and personalised wine options or to get help from our friendly and knowledgeable team, give us a call on 020 3876 8008 or use the Contact form below.